Much has been written of late about investor-related anniversaries. It’s been just over a year since the Brexit vote-induced stock market crash (24 June 2016) and 5 July 2017 marked 10 years since UK interest rates last went up. The one event that doesn’t seem to have got as much attention is the 10 year anniversary of the global financial crisis-led stock market crash. Many people think the global financial crisis was a 2008 event, yet the cracks were very obvious the year before. The stock market is inherently forward looking in nature and pointed to major problems when it started to fall in the summer of 2007. In July and August that year banks began to stop lending to each other due to market fears regarding exposure to potential losses on high-risk US mortgages. 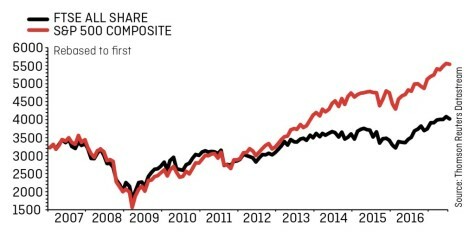 Admittedly, I’m about a month too late to mark the anniversary of the FTSE All-Share beginning its rapid descent (the market peak was 15 June 2007). However, the US markets didn’t start to tumble until October 2007. In the UK, Northern Rock’s collapse was considered one of the key events that signalled major problems with the banking sector. Customers raced to withdraw cash from the bank in September 2007 in fear the bank was about to collapse. In February 2008 the Government said it would nationalise Northern Rock. By July 2008, financial authorities stepped in to help American lenders, Fannie Mae and Freddie Mac. Soon after Lehman Brothers filed for bankruptcy protection. The rest is history. Investors lost a considerable amount of money in 2007 and 2008 amid a sharp decline in the value of shares, funds and even property. But what’s often not remembered is the rapid pace at which markets rebounded. Most markets were in an upwards trend by early 2009, which is a fairly swift change in fortunes given the severity of the global financial crisis. Many people at time would have no doubt assumed the markets would stay depressed for numerous years. The FTSE All-Share fell by 45% in value between 15 June 2007 and 21 November 2008, according to our calculations using data from Thomson Reuters. The index subsequently increased by two thirds in value over the two-and-a-half years to April 2011. The index saw a 17% pullback in the four months to 19 August 2011 and then began a lengthy bull run, peaking at 4,130.15 on 26 May 2017 – representing a 58% gain over that six year period. The US stock markets started and finished their global financial crisis-related decline later than the UK. For example, the S&P 500 index fell by 56% from its peak on 8 October 2007 to a low on 9 March 2009. It then started a major recovery rally and now trades more than three-and-a-half times higher. 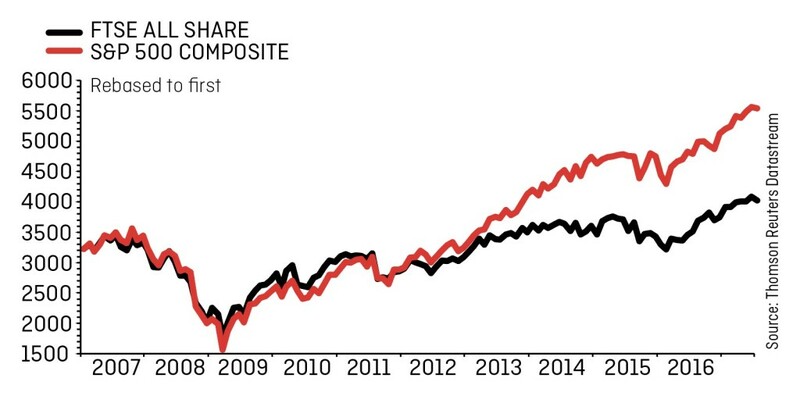 Investors who had the confidence to keep putting money in the stock markets during the tougher times between 2007 and 2009 would have been rewarded for their actions, thanks to the rapid market rebound.